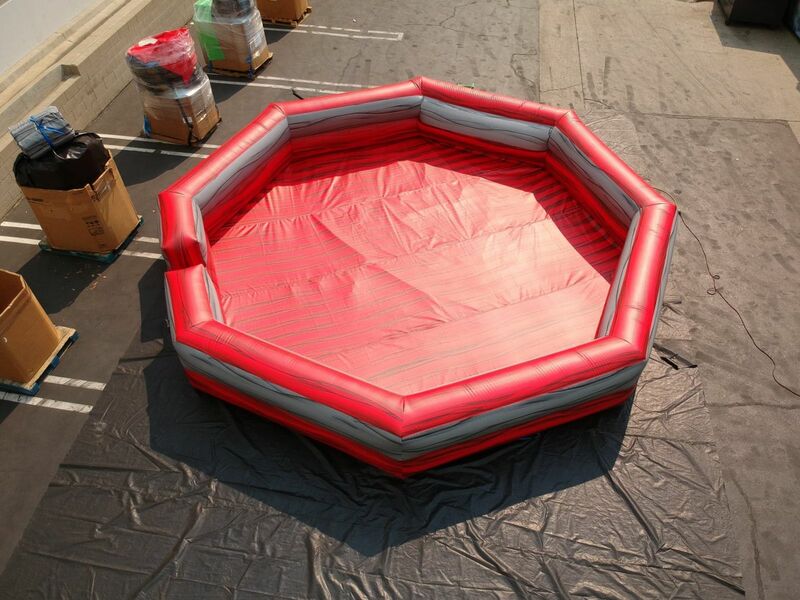 Gaga Ball Inflatable Rental is a fast paced, high energy sport played often played in an octagonal pit. It is very often considered a gentler version of dodge ball, since the game is played with a soft foam ball. Players need to keep moving to avoid getting hit by the ball. This game is so much fun and so easy to learn how to play! Portable Gaga Ball Inflatable Rental is conveniently designed for indoor use or outdoor use, on a soft grassy surface. 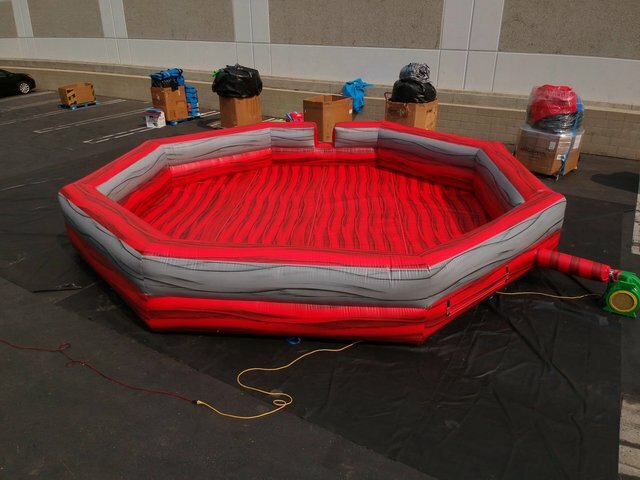 Our commercial grade, inflatable gaga ball pit sets up fast. Use to entertain for church, school, camps, college, and corporate events! The gaga ball pit fits in a 24 x 24 space and can easily accommodate 12 - 15 participants. Parental Supervision is required on this game. We have other interactive games you can choose from that will pair well with our Gaga Ball game. You can check them out in our interactive game section. Also don't forget to get idea's and inspiration by checking out our online catalog here. We provide a simple sheet on how to play Gaga ball or you can simply throw that to the wayside and make up your own rules. This game can be played so many different ways that all that really matters is the participants are having a blast playing it!